This painting is from my Modern Industrial Series. 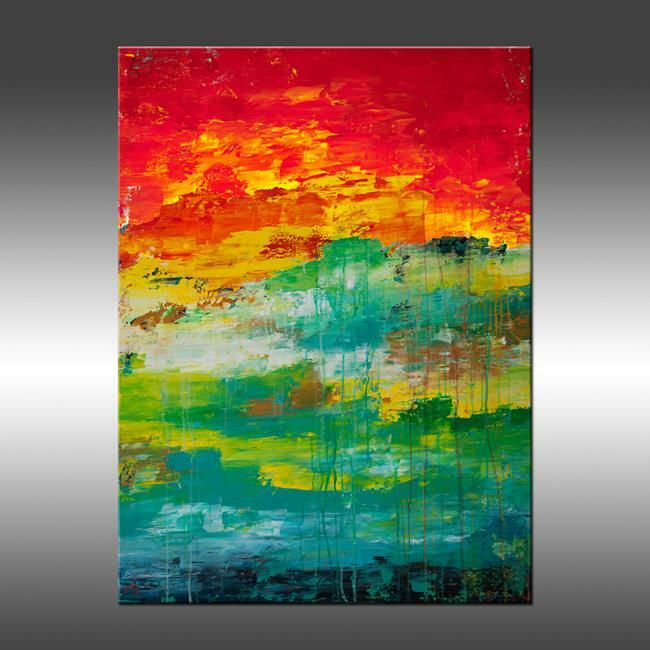 It is an original one of a kind painting created with acrylic paint on gallery wrapped canvas. The canvas depth is approximately one inch and the edges have been painted black for frame-free hanging. Of course, the painting can be framed if you'd prefer. The colors in the painting are red, blue, orange, turquoise, yellow, green, golden yellow, and white. An archival, UV resistant, protective, fine art, gloss varnish has been applied to protect the surface of the painting.